Today, social media is crucial to any online marketing strategy; anybody with any sort of purchasing power is already online in some form or another. We once talked about ‘Using social media’ to convince consumers to take action. However, many businesses, startups and SMEs still struggle to exploit the vast potential of social media and equip themselves with a solid social media strategy and campaign. Oftentimes, this lack of success is due to an absence of or a weak content strategy, usually combined with minimal time invested and not being in-line with the target audience. In a survey conducted by Manta in 2017, it was found that although 49% of small businesses polled have a social media account , of this 49%, 58% spent less than an hour a week polishing their social media involvement. Smart brands know better, it is not enough to just regularly polish content on social media channels. To get ahead, you need real presence and a strong focus on building community. This article addresses the common bad habits regarding social media, how to break them and how to bring in new traffic and business. 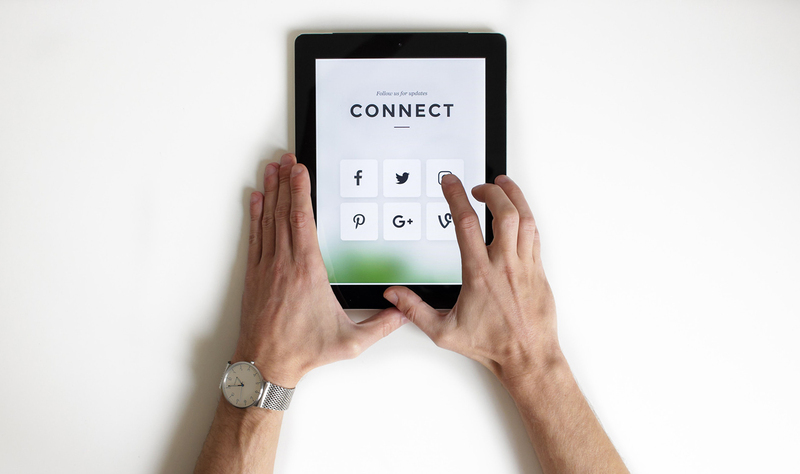 Social media is unique as a platform because it is not a one-way street, it goes two ways, allowing you to actively connect with your audience, entering a dialogue. If you are merely posting and promoting, even if it is regularly, it becomes a mere advertising space when it has so much more potential for interaction. Social media is a place to make real, lasting impressions and relationships. If your social media account only shares content about yourself to boost traffic and sales, you are potentially overlooking many other crucial opportunities. Don’t do it for the sake of doing it, it pays to be in touch with social trends and be part of the discussion by providing insights that reflect who you are, what you stand for and what you can offer. Otherwise, it’s akin to a person being in a group and dominating every conversation by talking about themselves and we all know how much we love to be around that person at gatherings. We really don’t. It is important to observe posts which inspire the optimum reactions in your audience. Findings should then influence future posts, telling you what to post and what not to post. Who you are is extremely important. There needs to be a consistent voice. However, ignoring your audience’s needs and expectations is not wise. Ideally, the aim is to establish your brand as an authority within your field. If your brand is known to be conservative and cautious, your social media voice must reflect the same; consistency is key. It does not pay to go viral and get popular if you lose touch of who you are as a brand along the way. It dilutes your vision, confuses your mission and misinforms your community. While it is easy to fall into the trap of the need to garner likes and shares, it should never be at the expanse of straying from your brand’s ideals and goals – the time and effort spend coming up with viral content would be better spent simply on brand-strengthening. In conclusion, it is vital to identify your target audience, develop a strategy, launch and manage social media campaigns, integrate and synchronise operations to ensure consistency. Your brand’s social media presence, publications and posts should create space for interaction rather than be a one way conversation, broadcasting messages to the masses. With a solid strategy and campaign, maximise your brand’s presence, establish your brand, set yourself up for the best chance to generate traffic and conversions from a healthy, valued online community. Having trouble finding foothold for your brands on social media platforms? Maybe Adwright can help. For over 20 years, Adwright has collaborated with clients that range from local SMEs to global corporations, spanning across a myriad of industries. With our experience in elevating brand equity, we provide integrated solutions in branding, design, communications and beyond. Partner with us and embark on your unique brand journey today.